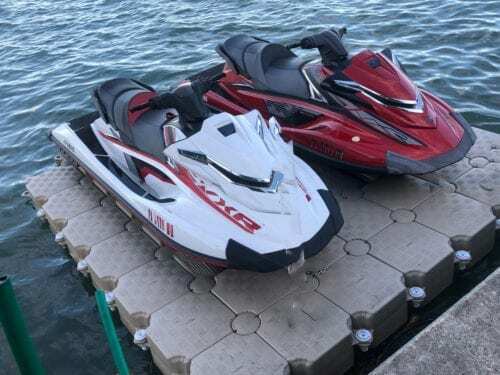 This dock has been specifically designed for small Jet Skis like the Sea-Doo Spark. This dock ties with your pops to your dock or posts. – 20-year warranty on all basic product like cubes and on 5-year limited warranty on the jet slide. Warranty must be activated on Candock website. This system is only compatible with small jet skis or small V hulls watercraft with jet drive and outboard propulsion. It is always better to check with us to make sure your craft is compatible. The water depth must be minimum 3 feet deep (including tides) and the waves must be no more than 2 feet. 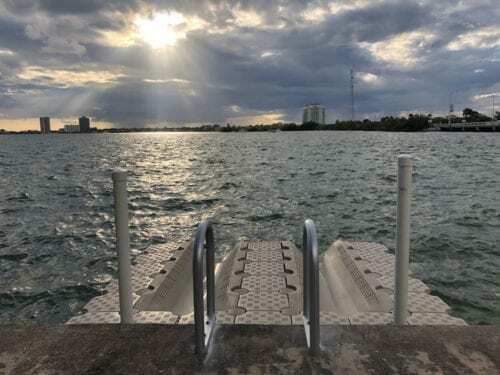 Some cities, counties or bodies or authority might require permits to install a floating dock, it is your responsibility to check if permits are needed for your specific location.